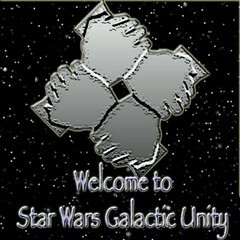 Our mission is to provide players in Second Life with consistent and fun environment for Star Wars Role Play. The Sims working together are Imperial City, Korriban, Onderon and Dxun, Nar Shaddaa, Dathomir and Talus. We believe in having stories that can involve all who are willing to join in on the fun. Partnership and community are very important to us…so leave your drama in real life and be part of our large family. Galactic Unity Rules - Each Sim as a few rules/pointers that may be a bit different. Please look at the description of each sim on this site for further details. To become a member, go to the Join Page. There, you sign up for a wiki account, and then apply for membership. Once you are a member, you can create your own pages (if you want to do your own profile). Please let one of the admins/moderators know when your page is complete for review. Once approved, your page will be put up on the site. Thanks, everyone. Many of our pages now have the ability for you to add comments!